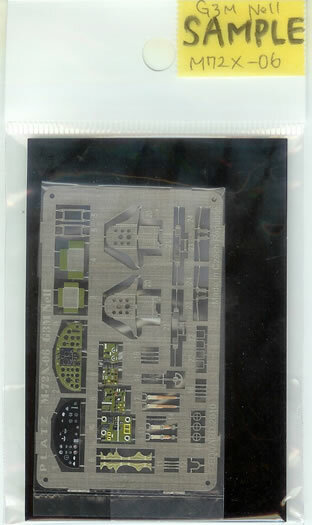 1 x Photo-Etch (PE) fret in each case. Although not listed yet Hannants also carries Platz products, as does Hobby Link Japan. 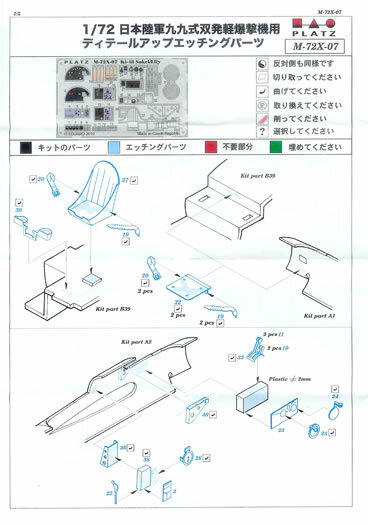 None apparent, although some modellers don’t like pre-coloured seat-belts. 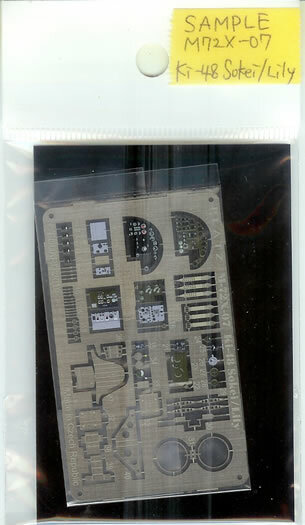 Well produced sets that will really enhance the Hasegawa kits they are intended for. Recommended. Hasegawa produces some of the best and in many cases only 1/72 kits of important WWII Japanese types. 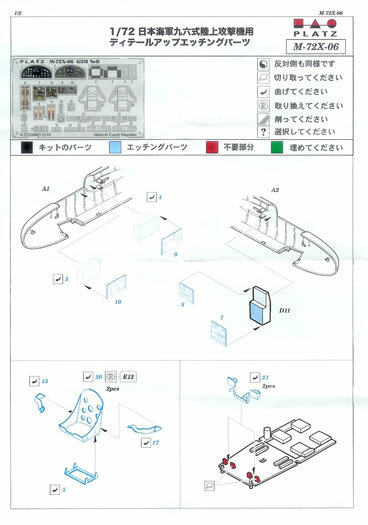 Their Mitsubishi G3M Nell and Kawasaki Ki 48 Lilly kits are good examples of these. Many of these kits are somewhat lacking in interior detail however. 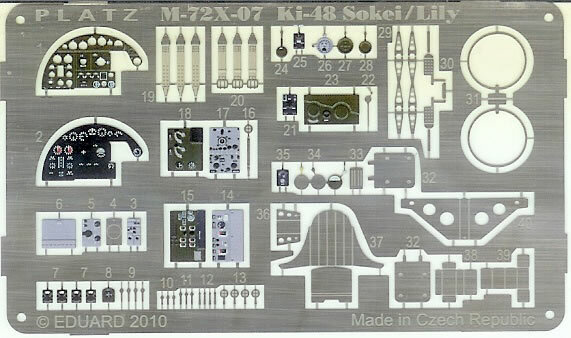 The Ki 48 is one of a few exceptions because it is originally a Mania kit (Others include the Ki 15 Babs, Ki 51 Sonia and B5N Kate, which for their time had very good levels of interior detail). Never the less, both kits have a fair amount of cockpit transparencies and will benefit from some dressing up. Both sets come in cellophane bag with card stiffener and header, plus instructions. The header on my examples carried no branding and were marked “sample”. The PE frets are produced by Eduard of the Czech Republic. Their coloured PE product is beginning to appear in many brands of kits these days, so it seems they have cornered the market, for now at least. I noted that Platz Hobby’s claims on their web-site that the sets are manufactured by them, but perhaps something got lost in translation. 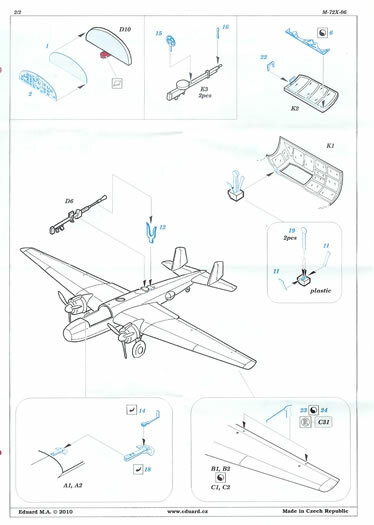 The images really tell the story, but here’s a rundown: Each set has pre-coloured instrument panels plus ancillary instrument faces, and of course set-belts. Also very pleasing is the provision of throttles etc and nicely done seats. The sets are rounded out with some delicate gun-sights and various small details. Quality is very good and typical of Eduard. 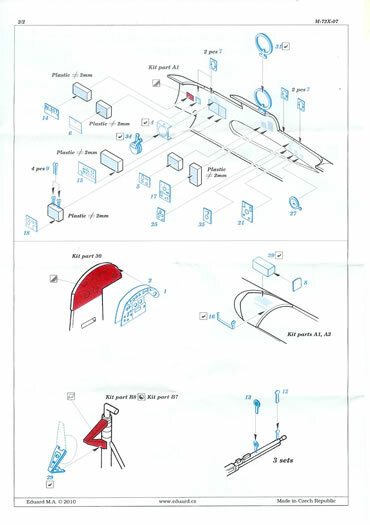 The instructions are very clear and easy to follow (also printed by Eduard). I think that these sets have been produced to a deliberate price-point in that they focus on the cockpit more than the gunners’ stations and various external areas as might be expected of a more comprehensive set. This is not meant as a criticism as I think Platz provide enough to significantly enhance key areas of each kit, sufficiently so to please most modellers, without pricing beyond many people’s budgets. 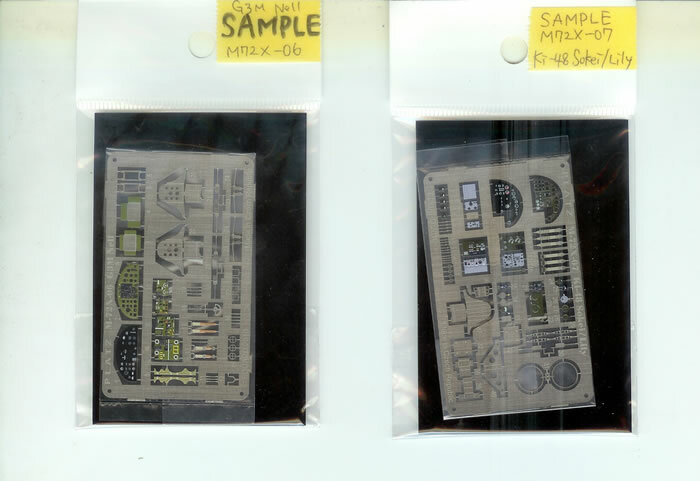 These are well-produced PE sets that should appeal to builders of the Hasegawa kits they are intended for. 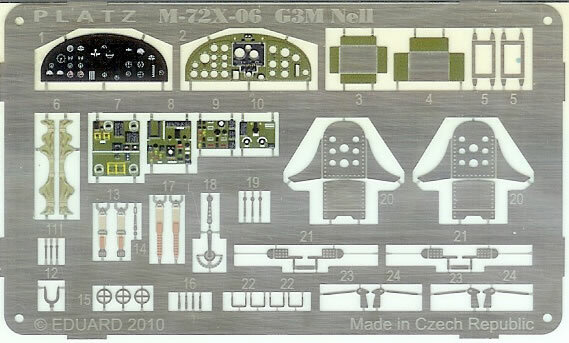 They are a nice addition to the growing range of detail sets by Platz for current 1/72 WW2 Japanese aircraft kits. Thanks to Platz for the review samples.